When I stopped football at about 15 years old and I started riding in the group my father rode with. Greatest racing memory: My Madison World Championship on the track in 2012. Race I dream of winning: Tour of Flanders because it’s my home race and it’s something really speical for a Flemish rider. 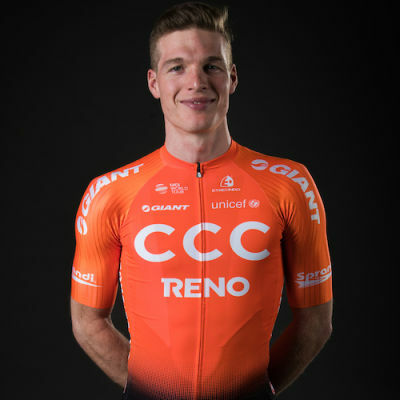 Gijs Van Hoecke joins CCC Team in 2019 as a key member of the classics team, where he will ride in support of friend and training partner Greg Van Avermaet. Before concentrating on road racing, the Belgian was no stranger to success on the track with a long list of results including the 2012 Madison World Championship. After racing at the professional Continental level since 2012, Van Hoecke made his WorldTour debut in 2017 and lined up at his first grand tour in 2018 when he raced the Giro d’Italia.